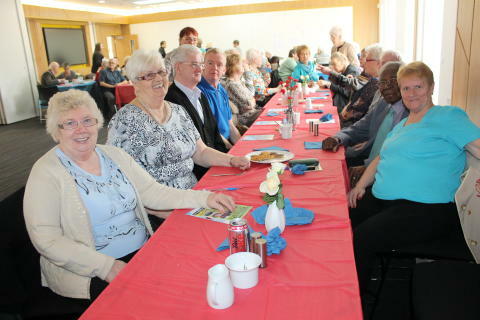 FOURTEEN, an innovative new community driven programme funded by Spirit of 2012, a charity set up by the Big Lottery Fund, has allocated £250,000 to Ruchill and Possilpark; one of six Scottish communities to receive funding. This is part of a UK-wide programme of 14 communities to receive Spirit funding to create social change through increased participation. Fourteen, known locally as the Spirit of Ruchill/Possilpark, will provide dedicated funding to help the area build a better connected, more inclusive place where people are more inspired and able to make a difference. Local people will decide how they want to spend the money in order to increase participation in one or more of the following activities: social action and volunteering, grass roots sport and physical activity, cultural activity and arts, youth leadership and development. As well as becoming a Fourteen community Ruchill/Possilpark has also been chosen as a Thriving Places initiative in the City. Thriving Places will ensure local people are at the heart of decision making; work alongside and support the community to fulfil their aspirations and encourage participation and democracy through community engagement activity. Current membership of the Ruchill/Possilpark Thriving Places Group includes local community councils, Third Sector Voluntary Network, local housing associations, including ng homes, and the Glasgow City Council family. Thriving Places is a 10 year commitment to empower and assist communities to become: More Vibrant; More Successful; Stronger and Safer. This will be achieved by working alongside others to develop the strengths of the area. Thriving Places is directly supporting the investment being made by the Spirit of 2012 Trust. Spirit of Ruchill/Possilpark are looking for people who live in Ruchill/Possilpark to get involved especially in terms of forming a local decision making group who will work with Thriving Places, Foundation Scotland and others to distribute the funds in line with what the wider community wants.